Viewing 0 current events matching “arduino” by Date. Viewing 40 past events matching “arduino” by Date. To reserve a space you can paypal the workshop fee to cult@tempusdictum.com and you can feel free to email that address with any questions. ⁃ Explaining the basics: volts, amps, resistance, breadboards, etc. 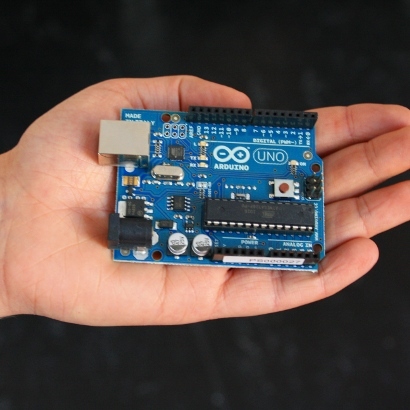 ⁃ Order an Arduino Uno if you don't already have one. ⁃ Buy some basic components if you don't have them yet. More info on the website. ⁃ Explaining the basics and helping people get started: volts, amps, resistance, breadboards, etc. During this quarter's induction we are going to try something different. We are going to build a complete arduino compatible board made entirely of through hole components. Called the TAD (for Through hole Arduino compatible Design) The board uses the same footprint as the arduino but does not require any surface mount components. This workshop will be lite on lecture and heavy on putting the thing together so be prepared to solder. An Arduino that you built yourself. The workshop costs $40 including all kit parts (plus $5 room use fee for ADX). A tour of robots around the world. We can also touch on the major areas of Ai and discuss what the group wants to focus on. Until we have underwriting, we are asking for donations of $5 per meeting. Depending on the venue and turn-out, non-alcoholic drinks will be provided. Feb 26, 2014 PSU Physics Society Presents "All about Arduinos"
Join the PSU Physics society for talks and demos about micro controllers, arduino and other embedded devices like the raspberry pi. This event is aimed serve as an introduction to arduino, so come on by and learn how to get started! If you are already an expert, bring some projects to demo and inspire. If you have your own hardware, bring it! If you don't we have a number of arduinos you can get your hands on. 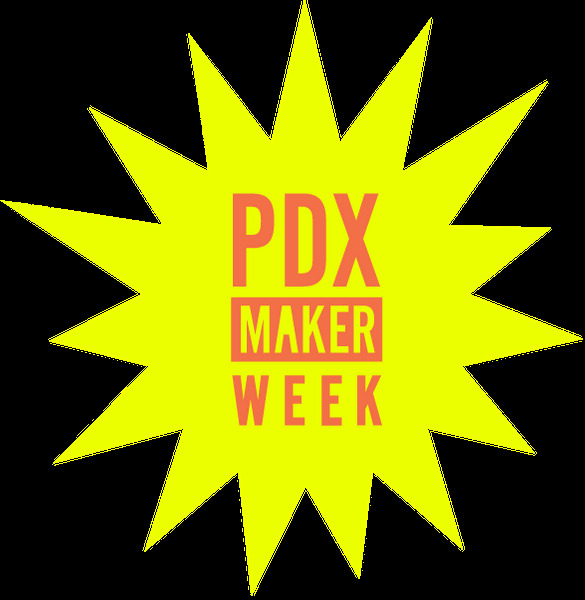 In addition to our meetup this month we're participating in the PDX Maker Week. Every year makers from all over Portland open their doors for workshops, talks, open houses and more! 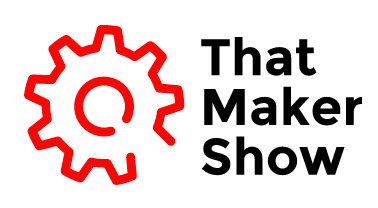 This year That Maker Show is participating with an event - That Maker Show-case! It will feature a talk by thingsSDK Core Contributor Craig Dennis and co-host of That Maker Show and an extended Show and Tell showing all the projects from the show and some up-coming ones too! Bring your projects too! Join the conversation in the JS IoT Slack Channel! Contribute to the JSoT Glossary! Attendees, sponsors and speakers agree to abide by the code of conduct. A huge thanks to eBay for the venue! What have you been working on since the last meetup? Come and share what you've done. No project too small. A blinking LED is awesome! Amazon Dash buttons are used to reorder common items on Amazon. But what if you could use these buttons to do anything!? Learn how to use Node.js to sniff out button presses on an Amazon Dash button and use it to invoke any action! A huge thanks to eBay for the venue and providing food! The eBay logo is a trademark of eBay Inc. Used with permission. Speaker Bio: I'm a React/Node dev and data scientist currently focusing on IoT products. When not coding, I enjoy playing music and drawing. Join the conversation in the JS IoT Slack Channel (https://jsot-slack.herokuapp.com/)! Contribute to the JSoT Glossary (https://github.com/lyzadanger/JSoT)! Attendees, sponsors and speakers agree to abide by the code of conduct (http://berlincodeofconduct.org/). 7:15 Talk - Description coming soon! A huge thanks to Mozilla for the venue and providing food! Jun 30, 2018 Interested in a Tours of Rasberri Pi, Ardiuno, and IoT? Michael Wild will show us the latest IoT devices and how you can use them in your project. Jul 14, 2018 Interested in Making a Smart Sneaker for OMSI Maker Faire Portland? Join us as we plan how to make a smart sneaker for Maker Faire Portland. We'll collaborate on a two-month project together. We'll gather once a week and we'll each have an opportunity to create our own smart shoe. Then we'll get to share it with the world at OMSI Make Faire. Aug 25, 2018 Garrett's OMSI Maker Faire sHoEs! Garrett will preview his 3D printed shoes with an Adafruit Gemma, Jewel, and Neopixels. If you would like to join the discussion check us out on Zoom https://zoom.us/j/7891236789. If you want to listen in we're also on Facebook Live facebook.com/KnowledgeMavens/.